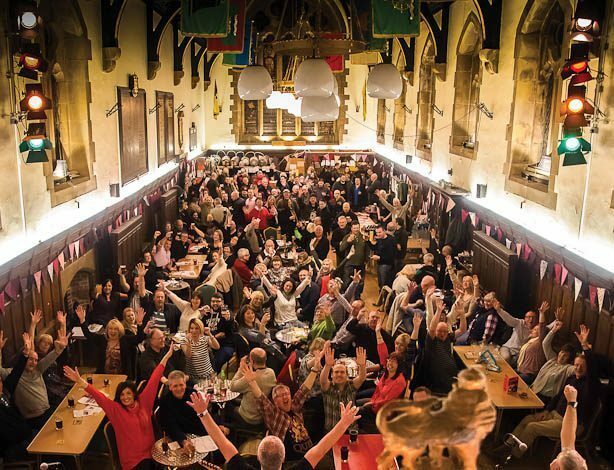 Real ale and cider lovers will be in heaven over the course of a weekend later this month when the Staffordshire city of Lichfield plays host to an Autumn beer festival. The event is being staged during Friday 14th September and Saturday 15th September within Lichfield's historic Guildhall building in Bore Street, which formerly housed prison cells in the basement. 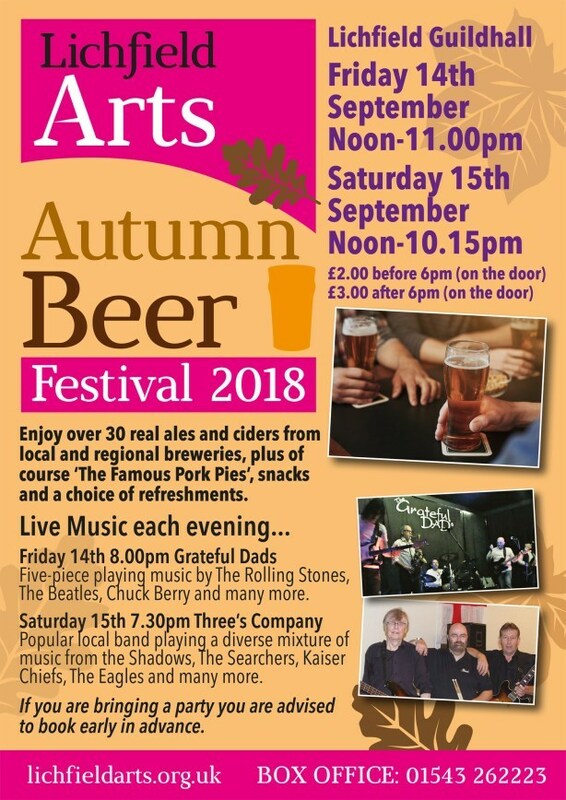 Fortunately, or unfortunately, for visitors to the forthcoming Lichfield Arts Autumn Beer Festival there will be no 'lock-ins'. The beer festival will be open from 12 noon till 11pm on Friday 14th September and from 12 noon till 10.15pm on Saturday 15th September. Payment is on the door at a cost of just £2 before 6pm and £3 after 6pm. Once inside, customers will ne able to purchase drinks from a mouth-watering selection of more than 30 real ales and ciders, all from local and regional breweries. In addition, there will a range of soft drinks available, together with a choice of refreshments including the festival's increasingly famous pork pies. And to help the real ale and cider go down in the evening, there will be live music on both days of the festival. The Grateful Dads will be playing on the Friday evening from 8pm while Three's Company will be in action on Saturday, starting at 7.30pm. The Grateful Dads are a five-piece band playing the music of the Rolling Stones, the Beatles and Chuck Berry, among others, while Three's Company is a popular local band who perform a variety of music including The Shadows, The Searchers, Kaiser Chiefs and the Eagles. 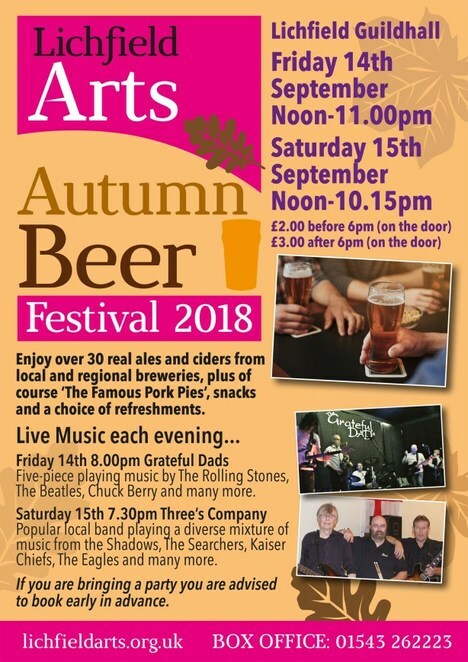 More information about the Autumn Beer Festival, including the range of ales and ciders on offer, will be published on the festival website closer to the time, make sure you visi lichfieldarts.org.uk/event/autumn-beer-festival-2/ to see the full beer list available.